Three sources close to the situation told SI.com that Portland was one of Pugh’s preferred destinations in the NWSL. But multiple sources said that destinations in France, including Lyon and PSG, were also in play if Pugh was not satisfied with what the NWSL was willing to offer. 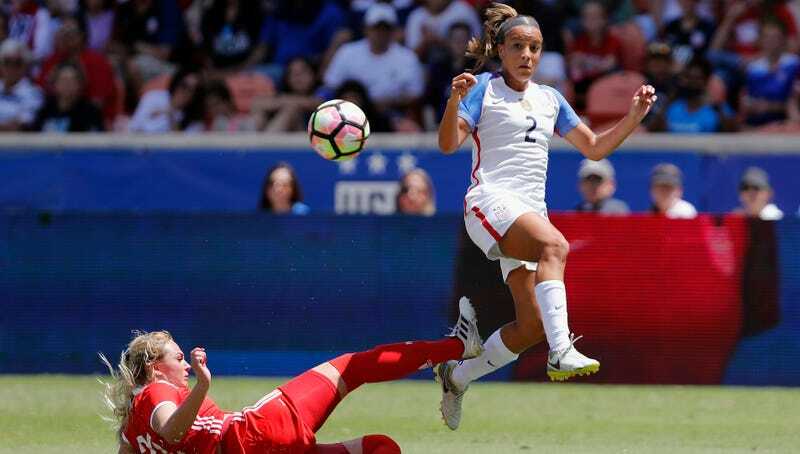 Should she follow in the footsteps of older teammates like Alex Morgan and Carli Lloyd and play in Europe, she would still earn some pay from U.S. Soccer as well as a salary from the club. If she doesn’t play in Europe, she could conceivably be signed by the Spirit and traded to Portland or another club, though a player of her caliber and burgeoning star power would certainly command a hefty cost from whatever team traded for her. It’s rare for women’s soccer players to leave college early to turn pro, so wherever Pugh goes, it’ll be exciting to watch her buck convention and earn her worth.